Keeping your Camden apartment kitchen neat and tidy can seem overwhelming but can actually be very easy. We’ve gathered 5 ways to deep clean your kitchen to prevent build up, and keep your kitchen smelling fresh. Having a glass top stove has its advantages and disadvantages. They look nice but are hard to keep clean. There are a few things you can do to help maintain its shine. Place some tooth paste on your stove and start to rub it into the stove. You can use your hand or grab a toothbrush. Once you have it rubbed in, grab some warm water and wipe it away. This will get out all those pesky white marks. Pro-Tip: Clean after every use to prevent build up. Do you have a bunch of yellow spots on your oven window? Remove them by mixing baking soda and hydrogen peroxide. Smear the mixture on the oven window and let it harden. 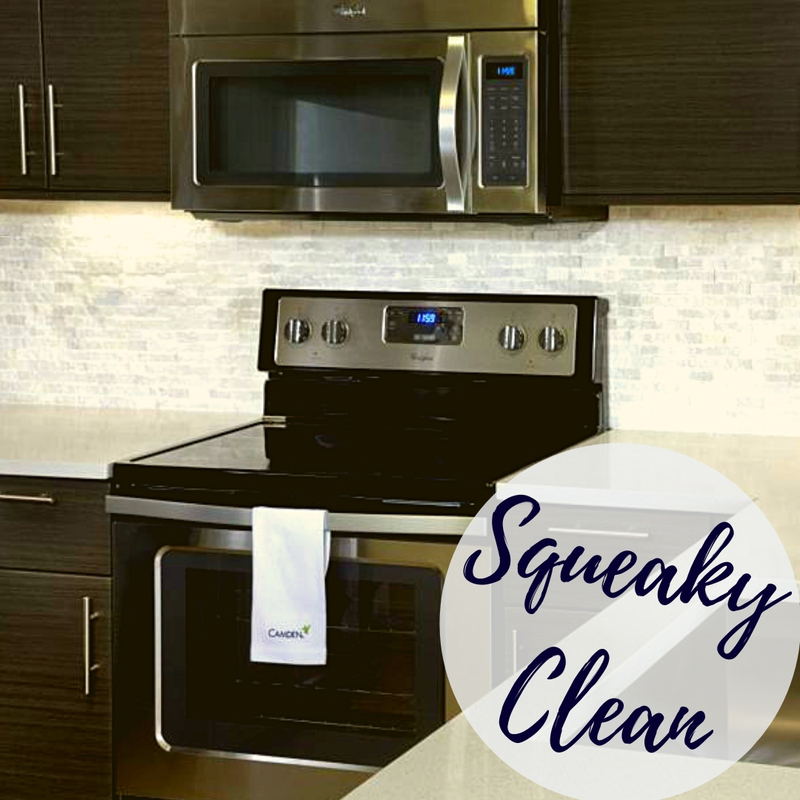 Wipe away and you have an oven that looks brand new. We often throw our food and dirty dishes in the sink and before we know it, it’s dirty. Help your sink smell fresh by cleaning the garbage disposal. To do so, throw some lemon peels down the garbage disposal and turn it on. The roughness of the peels will clean the blades and leave your sink smelling lemony fresh! You can also place ice cubes down the drain. The ice cubes will help clean the blades and make them sparkle. Make sure you cover the sink hole, so shards do not fly everywhere. Pro-Tip: Both methods will help keep fruit flies away. Water spots never seem to go away. Remove them quickly with baby oil. Dab a little bit on paper towel and rub it into the sink. Then wipe away. 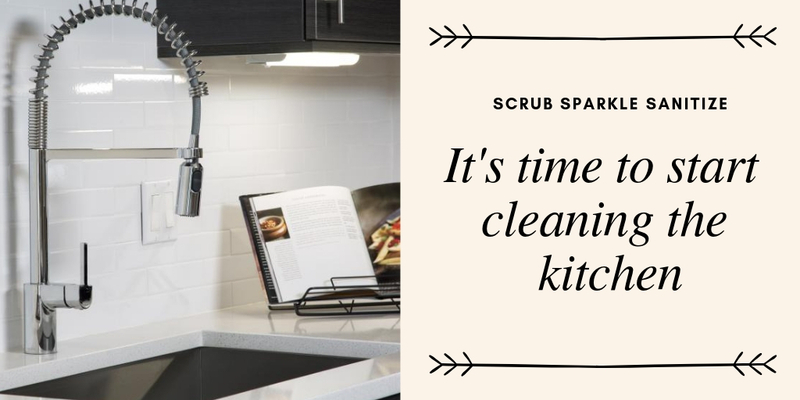 It’s super simple and leaves your kitchen sink extra shiny. Get rid of food splatter in 3 easy steps. Cut lemon peels and place them in bowl of water. Microwave until the water boils, about 3-5 minutes. The grime softens, and you can easily wipe away the dirt and food splatter. Now that your kitchen is spotless, continuously working to maintain your apartment home will make cleaning a breeze. If you’re a pet owner, don’t worry Simply Camden blogs also have you covered on how to deal pesky pet hair.